Just as storm Barbara passes and brings wind speeds of up to 90mph to the North and 60mph winds to Merseyside, storm Conor has just been named. The Met Office predict that the continuous conveyor belt of storms will mean there will be no break from the windy weather over the festive period. Storm Conor is expected to bring less of an impact locally for Merseyside, as wind speeds will gust around 47mph. It’s still expected to cause large waves at any costal locations, so it’s worth a bearing in mind if your heading out for a Christmas Day stroll. 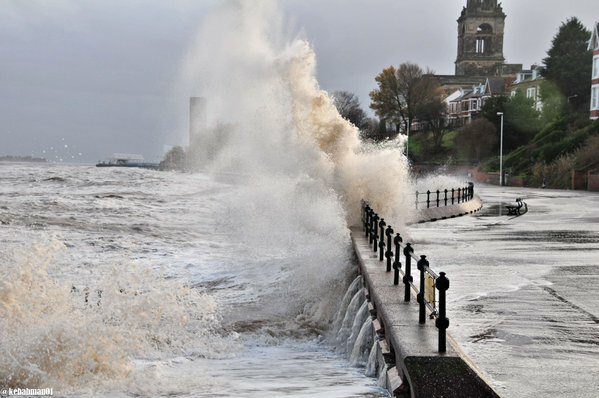 A forecaster at the Met Office has said: “The strongest winds are likely over high ground (affecting for example trans-Pennine routes), coastal areas and to the east of high ground. “Across Northern Ireland the wind will ease by Christmas Day (Sunday) afternoon, but remain strong across northern England and southern Scotland until evening”.